Ok, so we’ve got a divorce. What’s next? A final and binding divorce judgment is not the end. It is not even the beginning of the end. It's just the end of the beginning. In this post I will focus on three aspects related to the divorce: division of property, contact with divorcees’ child and their return to their previous surnames. To start with, it should be noted that the division of maritial property can be made before divorce, during the divorce proceedings, and also once the divorce judgement becomes final. At this point I will analyze the last and at the same time the most common scenario. The divorce of the spouses causes that the joint property between them ceases to exist, and the property separation appears in its place. The cessation of joint property does not mean, however, that the property of the spouses disappears. It still belongs to both spouses, but it only changes its character. Without going into detailed legal considerations on the nature of this joint ownership, it should be pointed out that the former spouses now have two options to abolish this commonality: they may agree on the division of specific assets amicably (concluding an amicable settlement) or, in the event of lack of concord between the spouses, they have to commence a court proceeding (submitting an appropriate application). Conclusion of an amicable settlement is the most advantageous solution for both parties, as it saves time, nerves and, of course, money. If the former spouses have previously determined the details of the division of their property, the writing down and concluding the settlement can be completed even within one day. In turn, the court dispute over property is connected with the necessity of tediously demonstrating, what items were covered by the joint property, what was the share of each spouse in the assets and who contributed to their acquisition. These proceedings often last for years and usually none of the parties is fully satisfied with the verdict. In a divorce judgement, the court usually decides on the parents' contacts with their children (only on the joint application of the parties the court may omit this decision). These contacts are usually determined by indicating specific days of the week, during which one of the spouses has the right to meet with the child. However, experience shows that the spouses’ declarations laid down during the divorce proceeding about the willingness to meet their children once the divorce is final – have little to do with their true intentions. Once the judgment becomes final, the spouse obliged to meet with their child completely forgets about the baby. Often, the spouse obliged to "give" the child refuses to cooperate with the other parent. In such a situation a helpless parent may apply to the court with an appropriate application. Then the court will listen to both parents and if the applicant's claims prove to be justified, the court will threaten the offending parent with a fine in case of further failure to comply with the obligation set out in the judgment. If this still does not help, the other parent can refer the case to the bailiff, and subsequently reach for other instruments of family law (change the child's place of residence, change contacts, limit the authority of the other parent etc.). And finally a bit prosaic, but still for most people a very important issue. Once the divorce becomes final, each of the spouses may return to their previous names. However, one needs to work efficiently, because the Polish Family and Guardianship Code leaves 3 months to file an application. During this time, you must go to the Civil Registry Office and make a statement to its director. It often happens that this seemingly appropriate term turns out to be insufficient. In this situation, we may exercise the Polish law on changing the first and last name, according to which the divorced spouse can return to the previously used surname. 100 years of the Regional Court in Kielce. The Regional Court in Kielce celebrates its 100th anniversary. As part of the celebration of this jubilee, there will be an open conference and numerous accompanying events. 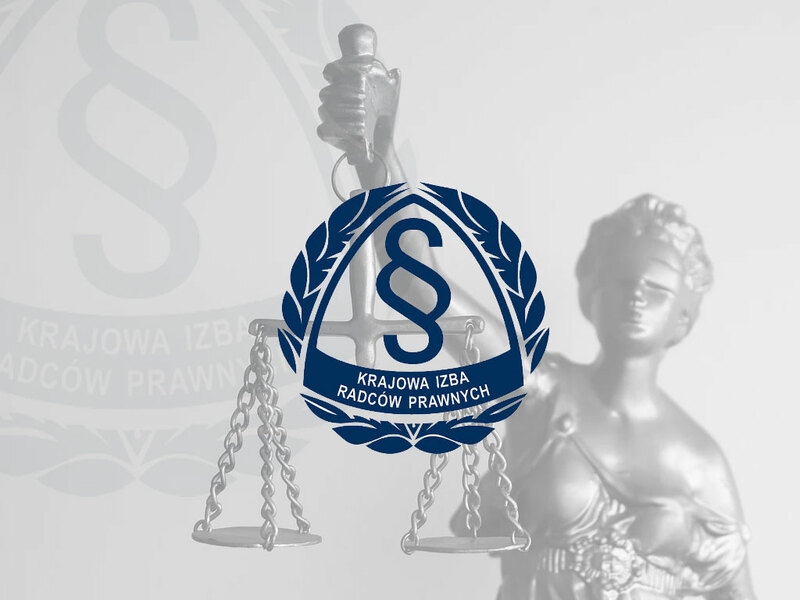 Our attention was drawn to a special event, in which local students recreated the judicial process in accordance with the old Polish civil procedure, including costumes referring to the old times. 35 years of the attorney at law profession. Proud of the celebrated jubilee, we kindly inform that the beginning of the professional self-governing body of attorneys at law dates back to July 6, 1982, ie. the date of passing the Attorney at Law Act. Providing a professional legal assistance, attorney at law acts as a profession of public trust. The profession is governed by the Attorney at Law Act and the Code of Ethics of the Attorney at Law. On the basis of the Attorney at Law Act, the Regulation on the fees for attorneys at law was issued. Legal assistance provided by an attorney at law includes, in particular, the provision of legal advice and legal consultancy, the preparation of opinions and legal information, the drafting of legislative acts, including contracts, and representation before the courts and local authorities as an attorney or a public defender, including representation before the Supreme Court, the Constitutional Tribunal, the Supreme Administrative Court, the Court of Justice of the European Union and the European Court of Human Rights. The provisions of the applicable law do not provide for any restrictions on the subjects, in which the attorney at law may provide legal assistance. The attorney at law is subject to a mandatory civil liability insurance.